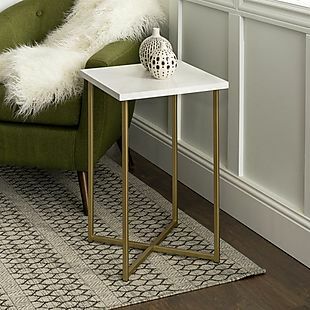 This 16" Square Side Table drops from $99 to $59.99 at Jane, plus shipping is free. This is the best price we could find by $9. It has a laminate top and chrome legs. Sales tax is charged in most states. Jane fashions are shipped at different prices based on which specialized boutique they come from. To avoid confusion at checkout, make sure you carefully read through the "SHIPPING" and "FINE PRINT" sections on each product's page before adding something to your shopping cart.